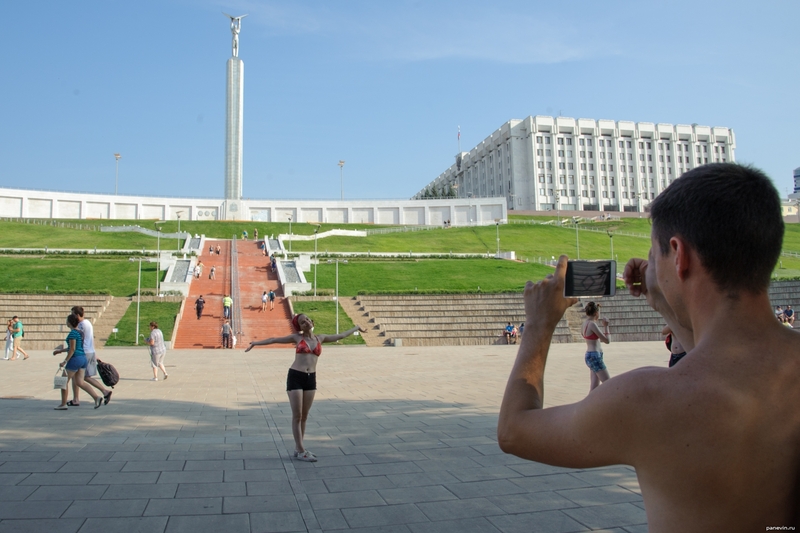 Monument of Glory - one of the symbols of Samara On a 40-meter pedestal, a figure of a worker holding wings in raised hands. 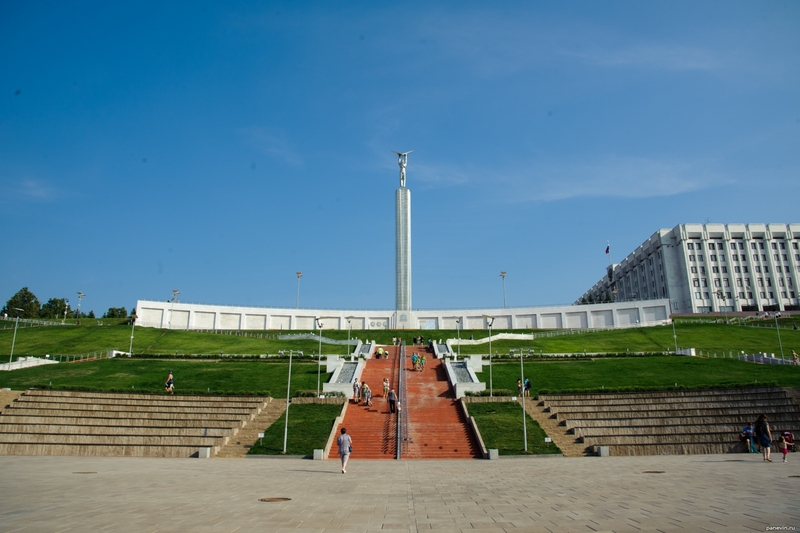 The monument on the same square symbolizes the contribution of Samarans to the creation of the country`s aviation industry, was opened on November 5 1971 of the year. Blog, posts attractions, monuments, people, Samara, street-life.